In the United Kingdom the name Matthew Flinders will rarely generate even a glint of recognition, whereas in Australia Captain Matthew Flinders (1774-1814) is (almost) a household name. My namesake was not only the intrepid explorer who first circumnavigated and mapped the continent of Australia but he is also a distant relative whose name I carry with great pride. But having spent the past month acquainting myself with Australian politics I can’t help wonder how my ancestor would have felt about what has become of the country he did so much to put on the map. The media feeding frenzy and the political response surrounding shark attacks in Western Australia provides a case in point. You are more likely to be killed by a bee sting than to be killed by a shark attack while swimming in the sea off Perth or any of Western Australia’s wonderful beaches. Hundreds of thousands of people enjoy the sea and coastline every weekend but what the media defined as ‘a spate’ of fatal shark attacks (seven to be exact) in between 2010-2013 led the state government to implement no less than 72 baited drum lines along the coast. Australia’s Federal Environment Minister, Greg Hunt, granted the Western Australian Government a temporary exemption from national environment laws protecting great white sharks, to allow the otherwise illegal acts of harming or killing the species. The result of the media feeding frenzy has been the slow death of a large number of sharks. The problem is that of the 173 sharks caught in the first four months none were Great Whites and the vast majority were Tiger Sharks – a species that has not been responsible for a fatal shark attack for decades. The public continues to surf and swim, huge protests have been held against the shark cull and yet the Premier of Western Australia, Colin Barnett, insists that it is the public reaction against the cull that is ‘ludicrous and extreme’ and that it will remain in place for two years. If the political approach to sharks appears somewhat harsh then the approach to asylum seekers appears equally unforgiving. At one level the Abbott government’s ‘Stop the Boats’ policy has been a success. The end of July witnessed the first group of asylum seekers to reach the Australian mainland for seven months. In the same period last year over 17,000 people in around 200 boats made the treacherous journey across the ocean in order to claim asylum in Australia. ‘Operation Sovereign Borders’ has therefore ‘solved’ a political problem that many people believe simply never existed. The solution – as far as one exists – is actually a policy of ‘offshore processing’ that uses naval intervention to direct boats to bureaucratic processing plants on Manus, Nauru, or Christmas Island. Like modern day Robinson Crusoe, thousands of asylum seekers find themselves marooned on the most remote outposts of civilization. But then again – out of sight is out of mind. The 157 people (including around fifty children) who made it to the mainland last week exemplify the harsh treatment that forms the cornerstone of the current approach. After spending nearly a month at sea on an Australian customs vessel they were briefly flown to the remote Curtin Detention Centre but when the asylum seekers refused to be interviewed by Indian officials they were promptly dispatched to the island of Nauru and its troubled detention centre (riots, suicides, self-mutilation, etc.). Those granted asylum will be resettled permanently on Nauru while those refused will be sent back to Sri Lanka (the country that most of the asylum seekers were originally fleeing via India). Why does the government insist on this approach? Could it be the media rather than the public that are driving political decision-making? A recent report by the Australian Institute of Family Studies found that the vast majority of refugees feel welcomed by the Australian public but rejected by the Australian political institutions. How can this mismatch be explained? The economy is booming and urgently requires flexible labor, the asylum seekers want to work and embed themselves in communities; the country is vast and can hardly highlight over-population as the root of the problem. There is an almost palpable fear of a certain type of ‘foreigner’ within the Australian political culture. Under this worldview the ocean is a human playground that foreign species (i.e. sharks) should not be allowed to visit. The world is changing as human flows become more fluid and fast-paced – no borders are really sovereign any more. And yet in Australia the political system remains wedded to ‘keeping the migration floodgates closed’, apparently unaware of just how cruel and unforgiving this makes Australia look to the rest of the world. What would Captain Matthew Flinders think about this state of affairs almost exactly 200 years after his death? From sharks to asylum seekers Australian politics seems ‘all at sea’. 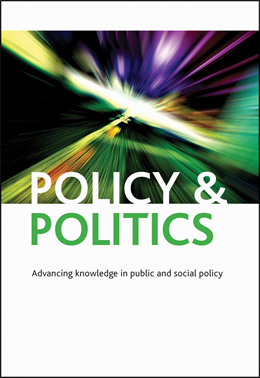 Matthew Flinders is Founding Director of the Sir Bernard Crick Centre for the Public Understanding of Politics at the University of Sheffield and also Visiting Distinguished Professor in Governance and Public Policy at Murdoch University, Western Australia. He is also Chair of the Political Studies Association of the United Kingdom and the author of Defending Politics (2012). Matthew is co-Editor of Policy & Politics. 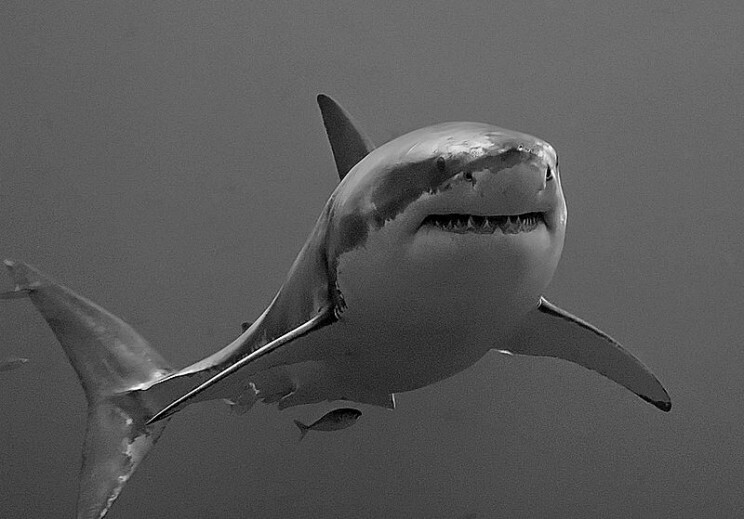 Image credit: Great white shark, by Terry Goss. CC-BY-SA-3.0 via Wikimedia Commons.